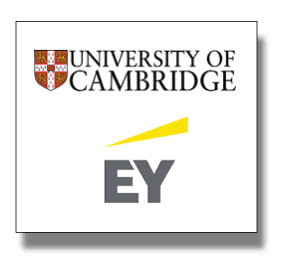 As many Crowdfund Insiders know, when The University of Cambridge teamed up with EY and launched the European Alternative Finance Benchmarking Survey, the largest study to date on crowdfunding, peer-to-peer lending and other forms of alternative finance in Europe was initiated. This benchmarking survey, which closed on 6 January 2015, seeks to capture the size, transactional volume and growth of the alternative finance markets across Europe from the 255 crowdfunding/ P2P lending platforms survey responses received from 28 European countries. Results from the research will be made available in late February. 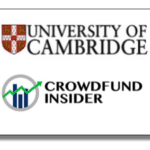 Association, the P2P Finance Association, the European Crowdfunding Network, the European Equity Crowdfunding Association as well as the P2P Banking.com, Crowdfund Insiders have had a exposure to exclusive interviews with University of Cambridge’s Dr. Mia Gray and a formidable cadre of European crowdfunding trailblazers including: CrowfundingHub Founder and Executive Board Member of the European Crowdfunding Network, Ronald Kleverlaan; President of the Board of Asociación Española de Crowdfunding Daniel Oliver; Le Crowdfunding author, AFIP and ANACOFI crowdfunding expert Marianne IIZUKA; Coordinator of the German Crowdfunding Network and member of the European Crowdfunding Stakeholder Forum, Karsten Wenzlaff; Executive Director of Peer-to-Peer Finance Association, Sam Ridler; Head of the Nordic Crowdfunding Association, Dr. Rotem Shnoer; Abundance Co-Founder and UKCFA Director Bruce Davis; President of Financement Participatif France and Founder/ CEO of Unilend Nicolas Lesur; P2P-Banking.com and P2P-Kredite.com Publisher Claus Lehmann; President of European Equity Crowdfunding Association and CEO of Assiteca Crowd Tommaso D’Onofrio and most recently, European Equity Crowdfunding Association General Counsel & AISCRIS Board Member Alessandro M. Lerro. 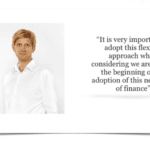 Erin: Why has the European Crowdfunding Network decided to participate in the Cambridge-EY European Alternative Finance Benchmarking Research? 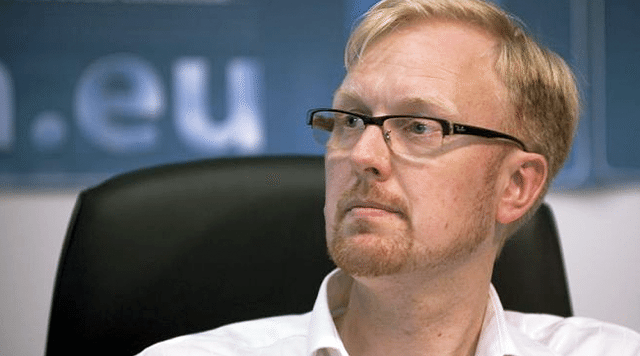 Oliver: The European Crowdfunding Network is an international non-profit association acting for an efficient, balanced and transparent crowdfunding eco-system in Europe. Independent data research and analysis is a vital aspect for a professional and well performing market. 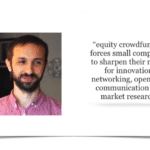 ECN therefore supports this and other research that helps creating transparency and accountability in the European crowdfunding market. 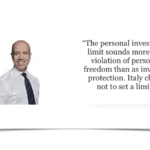 Until now there has been no detailed attempt to capture the Pan-European financial crowdfunding market. The earlier study by NESTA and Cambridge for the UK helped to understand the UK market a little better, so it will be good to have a Pan-European picture. I am very interested to find out if the study can identify deeper trends and issues around these segments. Erin: The rapid growth of the various sectors indicate that peer to peer lending is clearly leading the charge – yet equity crowdfunding is rather small but growing rapidly. How do you explain this phenomenon? 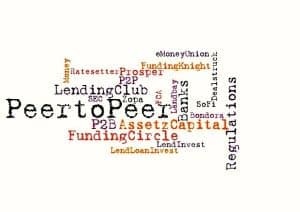 What about peer to peer lending? Oliver: The growth of lending-based crowdfunding is mostly confined to the UK in Europe so far and much more so in the USA, of course, though we are seeing other European markets developing, too. 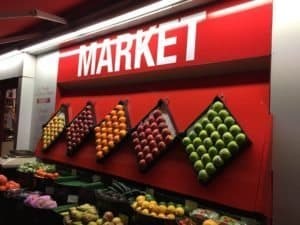 The growth is also a result of national market structures and local banking sectors. The growth is also driven by derivations in the business model, at least in the USA and in early stages also in the UK, where peer-to-peer lending has been replaced or is being replaced, respectively, by business-to-peer models, facilitating asset allocation by institutional investors and thus increasing the amounts invested significantly (this also creates new issues and difficulties in managing investor expectations and likely retail customer protection). Nevertheless, lending structures are safer than equity investments and thus attract a larger number of return orientated crowdfunders. We may also consider the allocation methodologies and reduced levels of transparency on many lending platforms – at least when compared to most equity models – which allow a simplified allocation of money across a large number of loans with one transaction while generating frequent interest repayments. Equity on the other hand requires a deal by deal due diligence and allocation of funds, usually remains illiquid and requires an exit scenario in order to repay premium and potential return. In general, I do not think that it is helpful at this point of time to get hung up on terms or specific models in order to define a “leading charges.” We are talking about two different financial structures that respond to different motivations within investors. 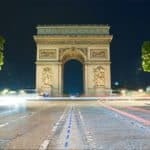 Erin: What can the United States learn from Europe? 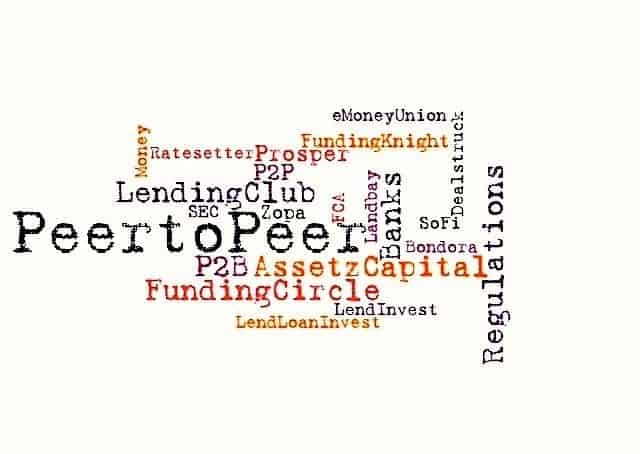 What is your opinion on the regulatory environment in the US for P2P Lending? Oliver: I am not too familiar with the US market, unfortunately, or the public discourse going on, so I cannot comment on the regulatory environment. However, we have been in contact with US authorities for a couple of years, every now and then, and are aware that there is indeed an exchange of ideas on political and regulatory level. But we should not underestimate the differences in markets and culture between the USA and Europe overall, it might be difficult to make recommendations either way. Erin: How has European Crowdfunding Network engaged government’s approach, both elected and regulatory, acted as a catalyst to propel crowdfunding and P2P lending? How are regulations evolving? Oliver: ECN has so far engaged in building a public discourse. Since we operate mostly on EU level – though we have been active also on national level in most of the EU member states – we must act in compliance with the structure within policy is created in Europe. Our political system is very consensus driven and it must be our first priority to work towards a thorough understanding of crowdfunding, before we can attempt to influence decision making. 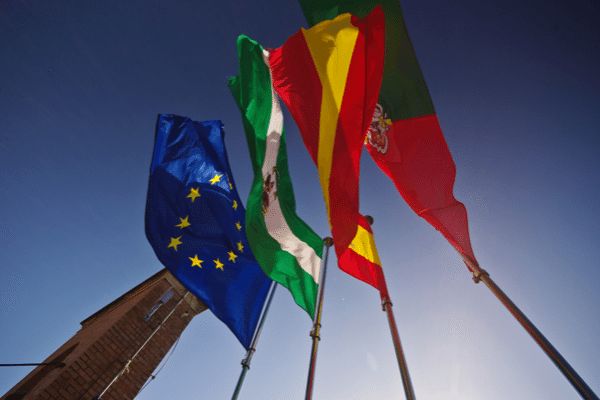 On the EU level, we are not yet at a stage where decisions are imminent, though we have noticed an increased level of informed discussions within a large number of institutions lately. On national level, of course, decisions have been made and we have been helping decision makers to understand crowdfunding as good as possible. However, in general, national regulations driven by policy makers have been goodwilled but opportunistic so far, rather than based on an in-depth understanding of the sector. Erin: In its findings regarding the role of women in alternative finance, the recent Nesta-Cambridge report states that women make up the majority of fundraisers in both donations based and rewards based crowdfunding. 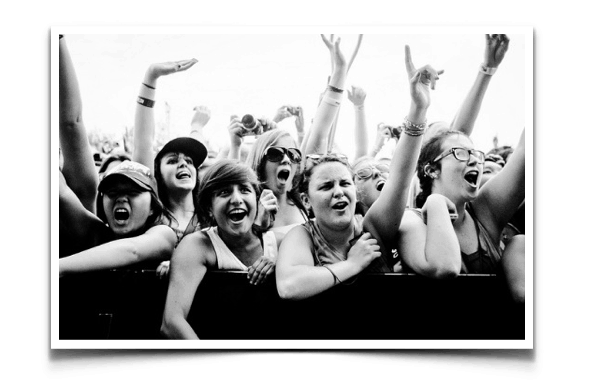 How will women move to match the predominantly male P2P and equity crowdfunding sector? What about other under-served segments of the population? Oliver: Maybe it is the men that should move to match the predominantly women dominated donations and rewards sectors? 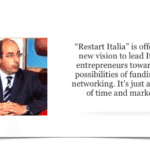 I do not see lending or equity crowdfunding as better or worthier than the others. They are addressing different motivations, that is all. But I am sure there are a number of sociological explanations for gender-based differences in investment behaviour. Basically, women seem to focus more on delivering impact within innovation and social change (showing empathy), while men seek financial returns (being greedy). So basically we have to ask, is crowdfunding a financial tool for investors seeking profit maximization or is it a tool for impact focused change makers? I guess, it can be both in parallel to some degree, but I would not want to choose right now, the opportunities to exploit different avenues are far to exciting for that. (And note, I managed to answer this question without pointing out that crowdfunding maybe should not be seen as part of Alternative Finance, say, as krypto currencies are, as crowdfunding is not about finance (finance is part of some crowdfunding models) and as the financial solutions offered by financial services crowdfunding are fairly plain-vanilla for now). 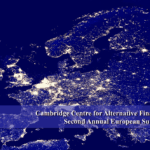 Erin: In order for alternative finance to grow, the Nesta-Cambridge report explicitly notes “the industry needs to continue innovating, educating users and addressing the various concerns consumers and SMEs have about alternative finance.” What will be done by the ECN to engender such growth further? Oliver: To build a sustainable sector, we need educated and satisfied users. So we have to focus on transparency and best practices, especially where retail investors are involved. This is a long road, as financial literacy is at a worrying low in both the USA and Europe, with nearly half our population unable to calculate interest rates as used in financial products (it is not clear if sophisticated investors fare better in this respect, but the regulator has decided that these have enough money so it does not matter if they lose some). 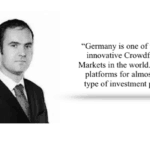 If crowdfunding wants to be a valid option for retail investors, it must provide solutions adequate for its user base. 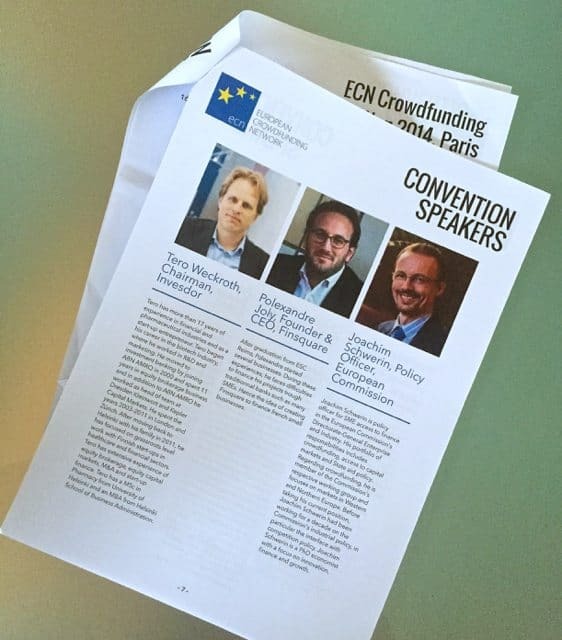 ECN is developing Pan-European best practices and we will invoke a dedicated code of conduct in 2015 that will prescribe basic rules with regard to transparency for professional crowdfunding platforms. 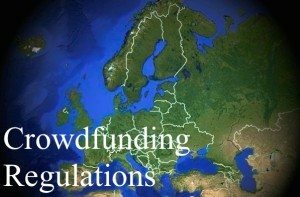 We are also working on educating people to crowdfunding: we published two crowdfunding guides (a general one and one specific for the creative media sector), both available on our website, and we will soon record a series of webinars on the topic. Erin: Who do you identify as the trailblazing this path? Interviewees have cited the UK as the leading the way; what responsibilities does such leadership entail? Oliver: I do not spend much time speculating on this. Let’s focus on building a relevant framework and then let’s look back in ten years. I think that will be far more satisfying and might give us some refreshing surprises. 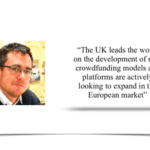 Erin: How do you see crowdfunding evolving across Europe? Oliver: Greatly, of course. Much of the national regulation that is now in place has left ample room for innovation and competition, while the political will remain high to follow up and continue making enabling changes. 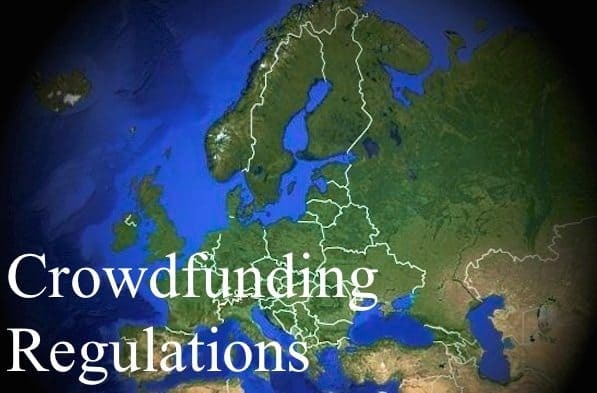 That some of the regulation does not please everyone or, in some cases, might even have had negative or restrictive impact on the local crowdfunding markets is unfortunate, but in the end, part of the market development will hopefully be for the better. On the European level we have been able to instigate and support an educated discourse of all major institutions involved in the policy processes and the European Commission has taken up many of our hopes and acted very positively. But the overall process is slow and we will have to wait a little longer before we will know if there is a consensus to enable crowdfunding through positive regulation or other tools. 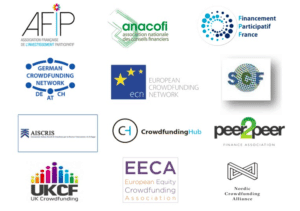 In 2012 we published a framework of how to build a professional crowdfunding market in Europe, which included specific recommendations to policy makers and to the crowdfunding sector. Today, the European Commission has acted on most of these recommendations such as creating expert groups (the European Crowdfunding Stakeholder Forum), supporting research (a number of research grants have been give third parties), supporting professional crowdfunding associations (we have received funds in the meantime and have been well received in many of the actions of the European institutions) and so on. There is ample room for further development, of course. However, the crowdfunding sector at large still seems not at ease to engage in a relevant process with the necessary dedication. Understandably, platforms worry about their daily business and do not have much time for the political aspects (which is why ECN is working on their behalf), but we are now ready to put forward some firm ideas about how the sector can work toward professional standards, self-regulation and transparency. And it is the right time for this, too, as incumbent financial services firms (including banks) are entering crowdfunding, both equity and debt to give the game a new dynamic. Erin: What central topics were discussed at the recent ECN convention in Paris and what did you learn? What disruptions and/or innovations will crowdfunding see in the next two years? five years? ten years? Oliver: The recent ECN Crowdfunding Convention in Paris, our third, was meant to be fun and opportunity to exchange ideas for our members and stakeholders. And because crowdfunding is not a singular thing happening outside of the rest of the world, we made sure we had a great mix of sectors involved in order to make sure crowdfunding becomes a vital part of as many other industries and financial services as possible. This year focused on financial crowdfunding to some degree and on the regulatory and political framework. The event clearly brought out that the idea of crowdfunding has spread into all financial services (focused on early-stage, impact, innovation and SME finance) and that all stakeholders are actively working on ways of including crowdfunding somehow into their sectors. This not only brings a huge potential to it, but also increased expectations with regard to professional standards. In fact, one of the biggest disruptions to the crowdfunding sector is the starting assimilation of crowdfunding by other sectors, such as banks, venture capital funds, business angels, incubators, stock exchanges. 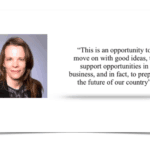 As a result we will see not only change within these sectors, but also within crowdfunding. These new concepts will not only innovate crowdfunding in itself, but also raise the bar with regard to technology solutions and support services within the sector. But while the concept of crowdfunding has convinced many former critics, it has not reached the high street yet. 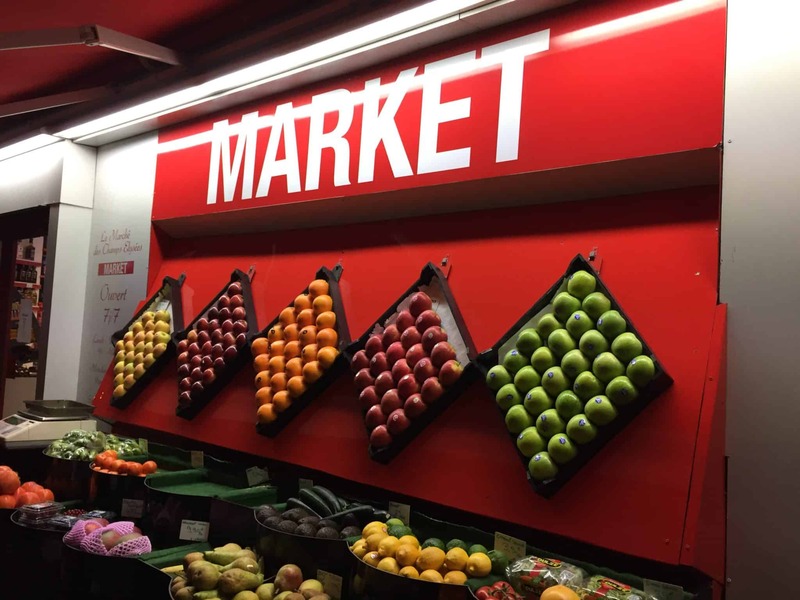 By assimilating crowdfunding into other sectors, crowdfunding might lose some of its edge, but also might gain a more consumer friendly form that will satisfy a broader mass of retail investors. This also means that crowdfunding might not become a mass market solution in its own right, but that it likely will be introduced to the mass market through these new found cooperations with other financial services (or even industry) sectors. 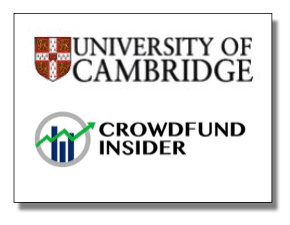 Crowdfund Insider has joined with The University of Cambridge to be the exclusive media partner on this benchmarking research. 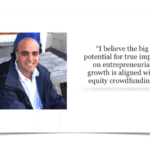 This interview is one of a series that includes multiple, in-depth interviews with international thought leaders and crowdfunding industry pioneers from the collaborating associations. This entry was posted in Featured Headlines, General News, Global, Opinion, Politics, Legal & Regulation and tagged alessandro m. lerro, alternative finance, bruce davis, bryan zhang, cf50, claus lehmann, crowdfunding, daniel oliver, dr. rotem shneor, ecn, EU, european alternative finance benchmarking survey, european commission, European Crowdfunding Network, ey, Fgf-ev förderkreis gründungs-forschung, jobs act, karsten wenzlaff, marianne ilzuka, nesta-cambridge report, nicolas lasur, oliver gajda, peer-to-peer lending, regulations, ronald kleverlaan, sam ridler, SME, tommaso d’onofrio, uk, university of cambridge, women. Bookmark the permalink.